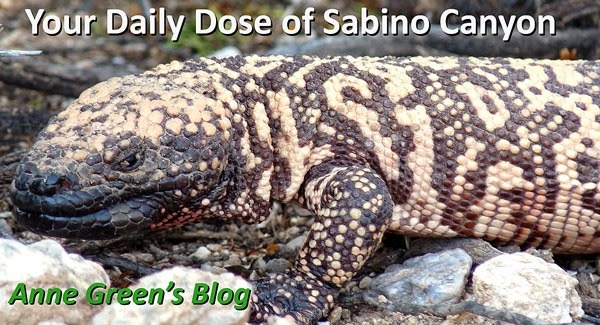 Your Daily Dose of Sabino Canyon: Hope you are lichen this! 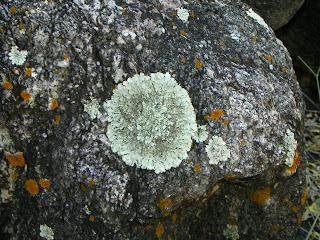 This greenish stuff is lichen, a symbiotic relationship between an algal species (which photosynthesizes) and a fungus. (Algae is actually the plural, alga is singular; but let's stick with the more common usage.) Here's the story, courtesy of Ned: Alice Algae took a lichen to Freddie Fungus, but now their relationship is on the rocks.